I’ve been going to some influenza-related conferences in the past week, including the International Conference on Emerging Infectious Diseases in Atlanta. One of the topics that’s come up several times is the public awareness of the 2009 pandemic H1N1 — there’s a general sense that the general public has lost interest in, or even is actively contemptuous of, the influenza pandemic. This is causing a lot of frustration, and some bafflement, among the fairly specialized audience here. I don’t have any particular insights into this, but it’s striking to me that there may be some parallel to the vastly worse 1918 pandemic. 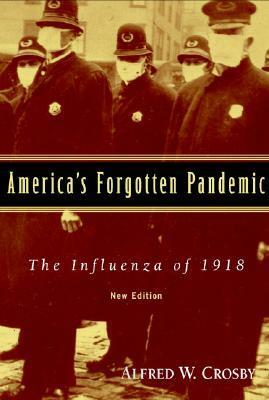 Like 2009, the 1918 flu did virtually all its damage in the USA in less than a month, around October of 1918. (The difference, of course, was that in 1918 the virus killed far more of the people it infected.) In spite of the huge number of deaths that virus caused, though, it seemed to quickly recede into people’s memory as well. I refer you to Alfred Crosby’s history of the outbreak (Amazon link), which is actually called “America’s Forgotten Pandemic: The Influenza of 1918”, for a much more detailed discussion. Is there something about these sort of explosive, but short-lived, outbreaks that lets them be easily replaced in peoples’ anxiety closet?